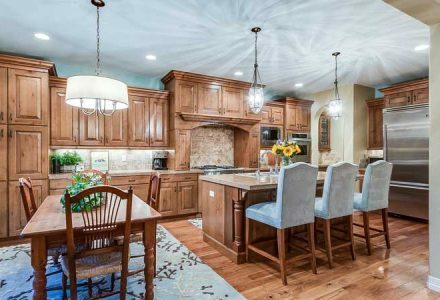 Welcome Home to the Exclusive Gated Community of Ventana in Castle Pines, Colorado. Stunning semi-custom Infinity home is Pottery Barn perfect and move in ready. 5 bedrooms boosting 5100 square feet of pristine living space, wide plank wood flooring, chef’s gourmet kitchen with large island, double ovens, Viking and Thermador appliances, butler’s pantry, formal dining, cozy living room with dual sided fireplace adjacent to library or study, play room or optional main floor bedroom. The upstairs is host to 4 bedrooms including the Master and 3 bathrooms. 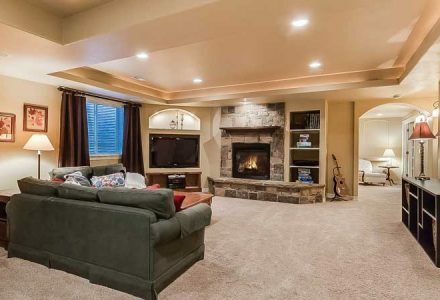 The finished basement has a large entertaining area with eat-in bar, dishwasher, refrigerator, kegerator, Game Room, 5th bedroom or Craft Room, Office or Optional Exercise Room and 3/4 guest bathroom. Walk out to the amazing fully fenced back yard with stamped concrete patio and enjoy the built in roaring gas fire pit with family and friends. Your dream home awaits! One of the only fully fenced lots in Ventana! Checkout the 3D Tour and Aerial Video! Floor plans and average utility cost available upon request. Inclusions: All kitchen appliances, all basement appliances including Kegerator, Washer & Dryer, Water Filtration System, Craftsman workbench and storage cabinets in garage, Master bathroom rug, white curtains with purple dots in daughter`s bathroom, Round table on back patio with six chairs and cushions, Rainbow Swing Set in backyard.